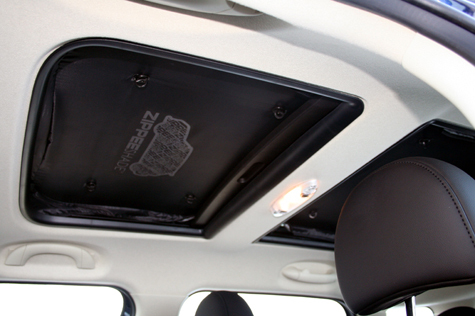 Zippee Shade Sunroof Sun Shade for 2011-2014 R60 MINI Countryman and Countryman S. These sunshades developed exclusively for the MINI Countryman equipped with a Dual Factory Sunroof. They are cut and sized to fit the sunroof perfectly. 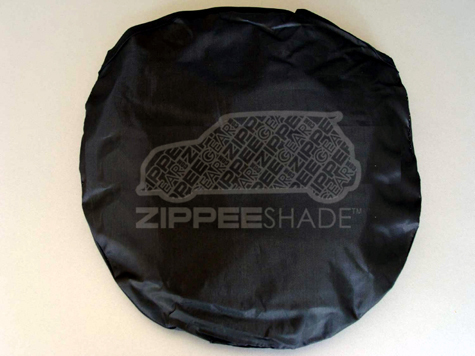 Exclusive Patented Design features UV Resistant foldable material that is designed to reduce heat from the interior of your Mini Cooper. Very simple to install and remove within seconds, no tools necessary. 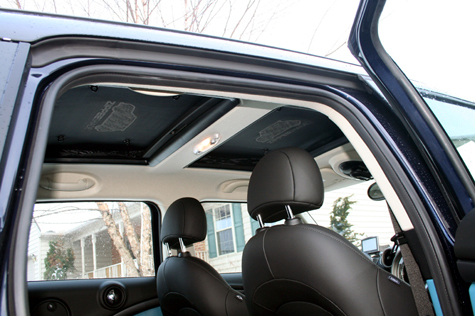 These shades completely fill in the sunroof openings, to block out all light. Excellent product - fits perfectly and folds away nicely in it's own pouch. Great bang for the buck in keeping the hot sun off my pooch. Much better than using window tint.